On September 10th 2013 Nathalia M.U. 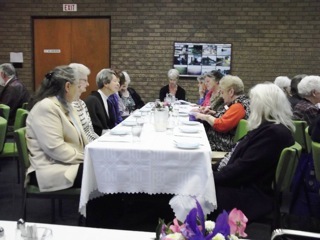 branch held a luncheon to celebrate the 75th year since women of the parish held the first Mothers Union meeting under the guidance of Mrs Dicker wife of the Archdeacon. Their desire to follow the Aims of M. U. has continued since1938. 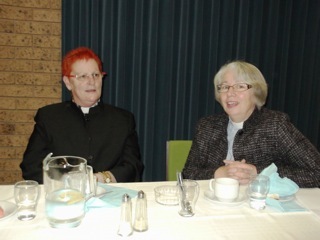 Rev’d Sally Boothey conducted the Eucharist, her sermon reflecting the M.U. purpose “to be specially concerned with all that strengthens and preserves marriage and Christian family Life”. 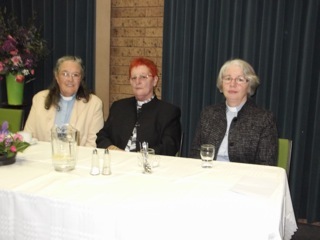 There were 45 women and 3 men present, ladies from the Numurkah/ Nathalia parish and other faiths in the town. 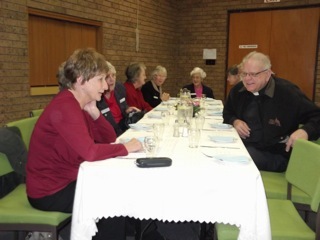 Guests travelled from Albury, Central Goulburn, Wangaratta and Wodonga branches and Cobram parish, there was also a member from Mooroopna representing M.U. Lone members. 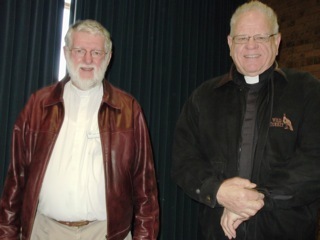 Fr David Holloway and Fr Kim Benton, former priests of the parish came back for the event. 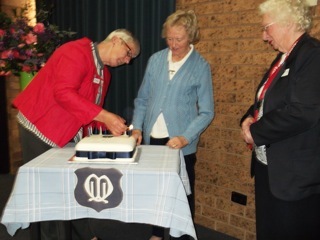 After the service everyone crossed the road to the Community Centre for morning tea where President Mrs Judy James welcomed everyone. 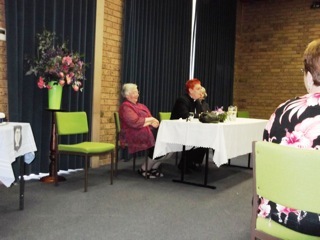 Rev’d Bethley Sullivan from Beechworth parish, the guest speaker, was introduced by Mrs Mary Muntz. 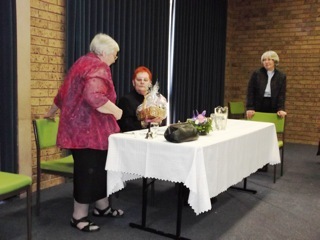 Rev’d Bethley is a past Diocesan Secretary, and was responsible for the formation of a branch in Nagambie, part of the Central Goulburn Parish. 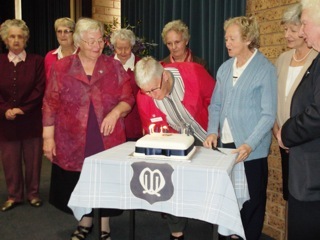 While living in the parish of Bright, she encouraged the ladies to form a branch there. 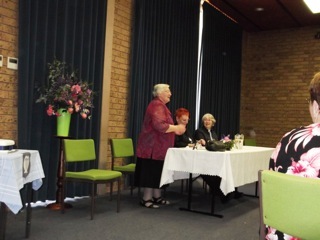 During her talk Rev’d Bethley mentioned that when Mary Sumner became a grandmother she recalled her time as a young mother. She gathered new mothers of the parish in to her home and listened to their stories. These visits encompassed prayer, advice and friendship. In 1876 the Mothers Union began as the Bishop’s approval was given, it then expanded into nearby parishes. There are now over 4 million members worldwide. The aims of M.U. to be specifically involved in Christian family life is a pivotal reason for M.U.’s expansion into Africa and Asia. The women are the leaders in many of these communities, caring for Aids victims, orphans, teaching hygiene to young mothers, and very dedicated to the purpose of MU. 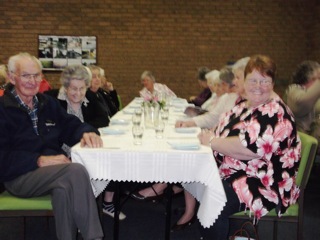 Branch members are always thinking of ways to help the disadvantaged people in their parishes. 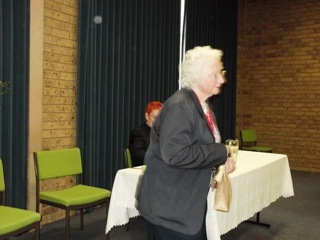 Mary thanked Rev’d Bethley for her talk and presented her with a gift. 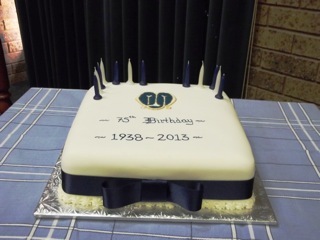 The beautifully decorated cake was made by member Mrs Leone Hack and decorated by Mrs Beverly Hutchins from the Uniting Church. 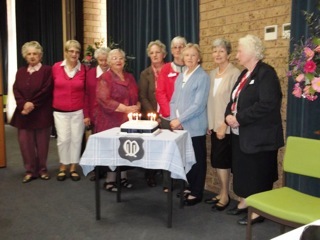 The candles were lit by Mrs Norma Shepherd, our newest member and cut by Mrs Beth Eldridge, with our longest membership. 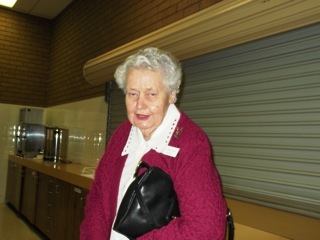 Mrs Shirley Jamieson of Wodonga received the “lucky” gift . 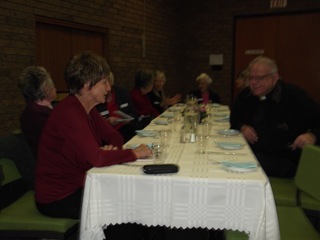 There were favorable comments on the presentation of the cold luncheon that was served after grace offered by Rev” Sally . Pieces of birthday cake and slices were eaten with a cuppa before our guests departed. We are grateful for the assistance of 3 Nathalia Lions Ladies who worked in the kitchen, leaving us free to enjoy the company of our guests.